Just found these at work by the dumpster. Looks like a centimeter long. Also found this one at the same time and place. 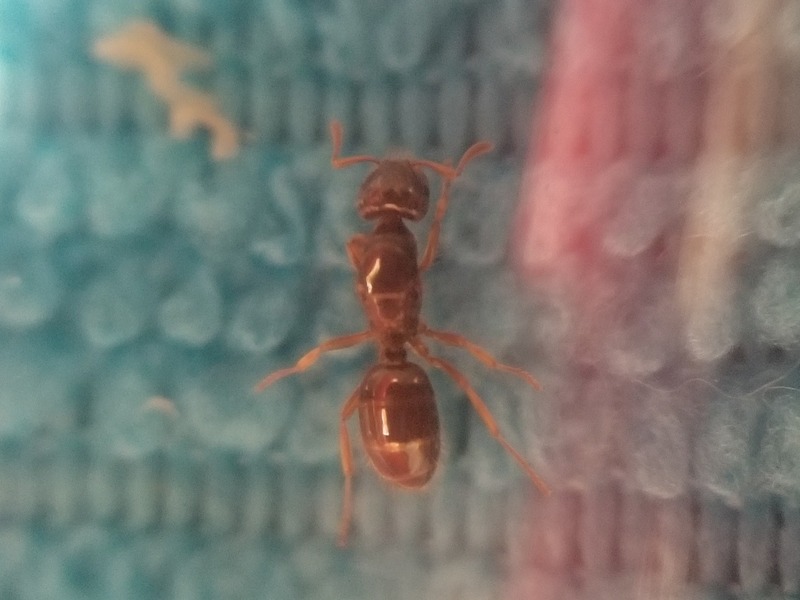 Almost half a centimeter long. Edited by Thatfa666ene, February 7 2019 - 4:08 PM. I don't think so, but probably a Laius parasite. 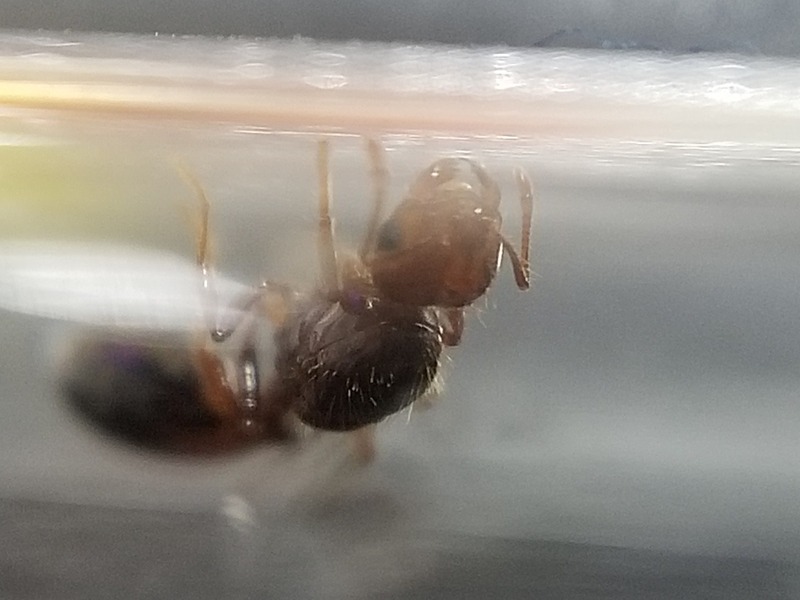 That little brown queen is Brachymyrmex depilis. Got another one for yall. Probably a half centimeter. Edited by Thatfa666ene, February 8 2019 - 7:33 AM. 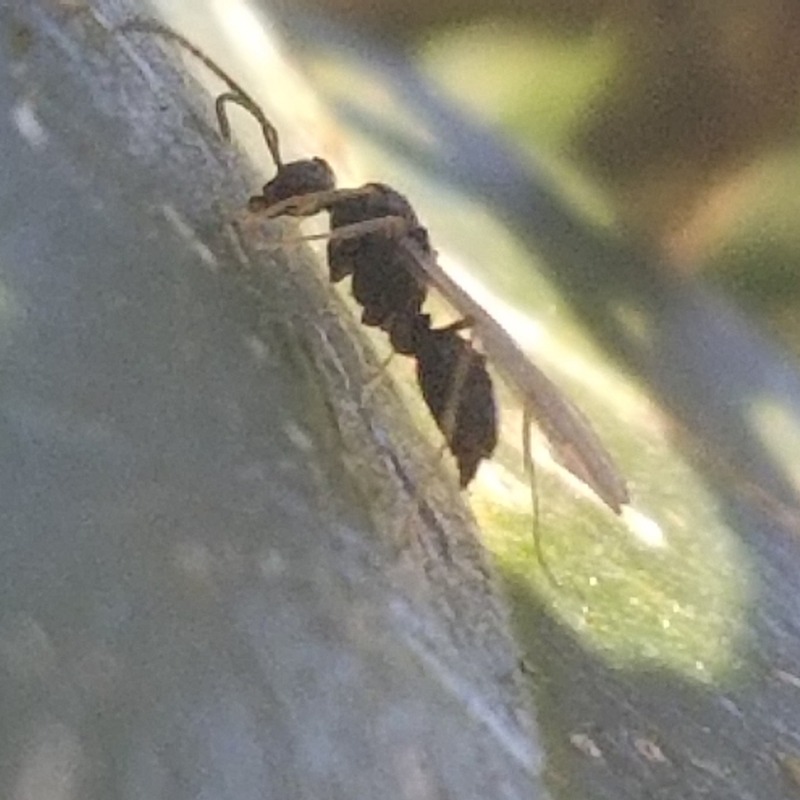 that last one looks more like a wasp, or at least the antennae do. 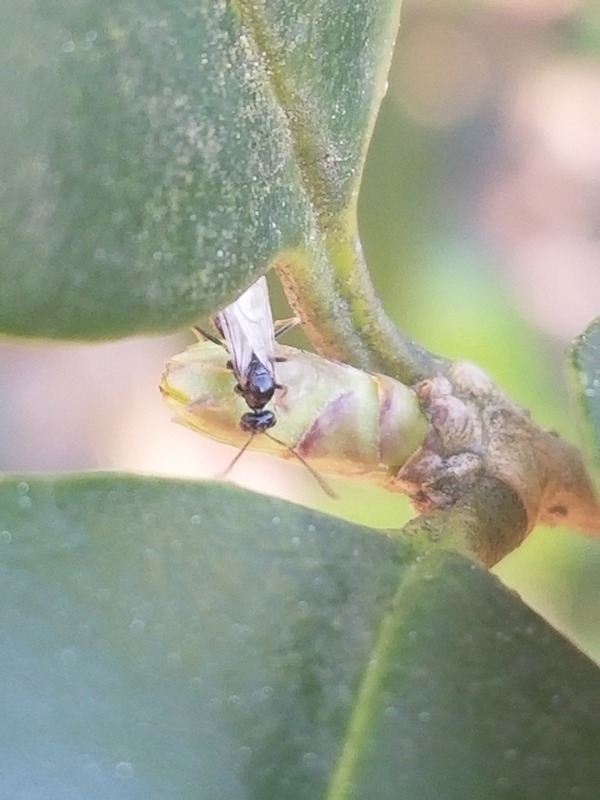 There are videos of my ants here: https://www.youtube....bN5yYK2KWXA0vQ? 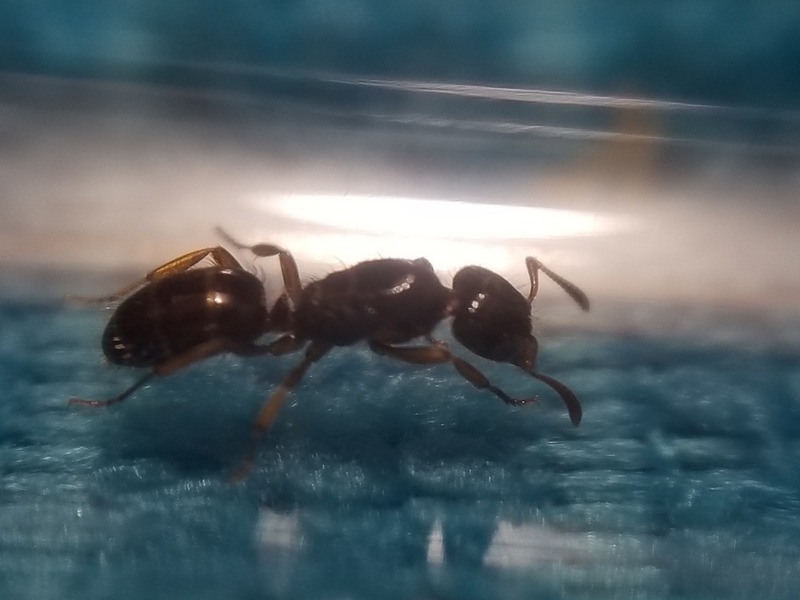 I was hoping it was a male. Edited by Thatfa666ene, February 12 2019 - 10:59 AM. Images typically have file extensions like .jpg, .png, .gif, etc., so that is what you usually should see at the end of the URL. 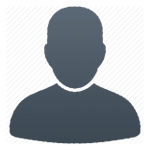 Right click on the image and hit "copy image address", then paste that address on your message. Edited by Thatfa666ene, February 12 2019 - 8:30 PM. 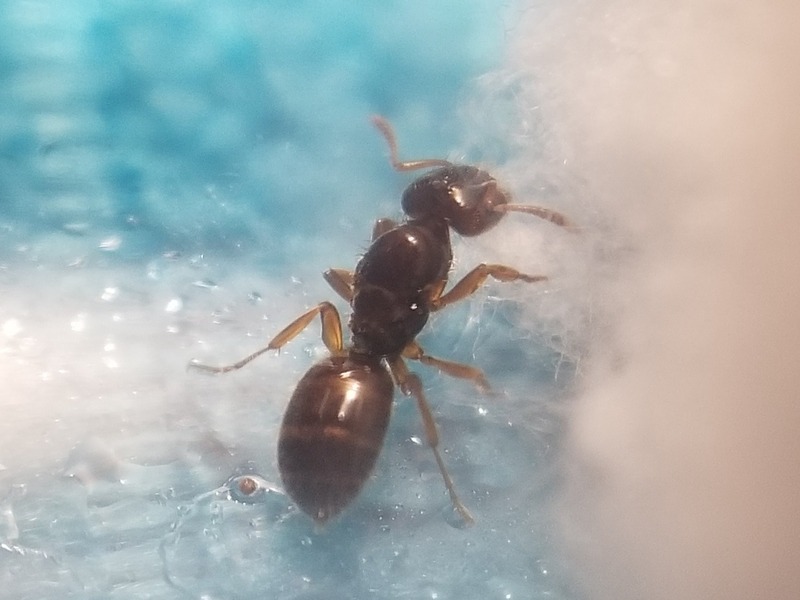 I caught this ant hangin out with a colony of Camponotus or something. Probably 1 cm. 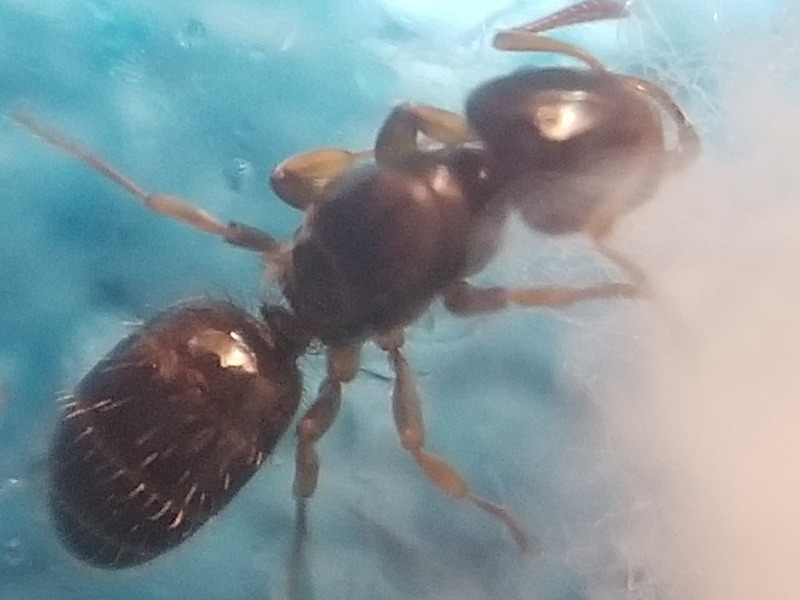 Looks like a species of Lasius, a social parasite species. It was likely near the Camponotus colony during diapause. 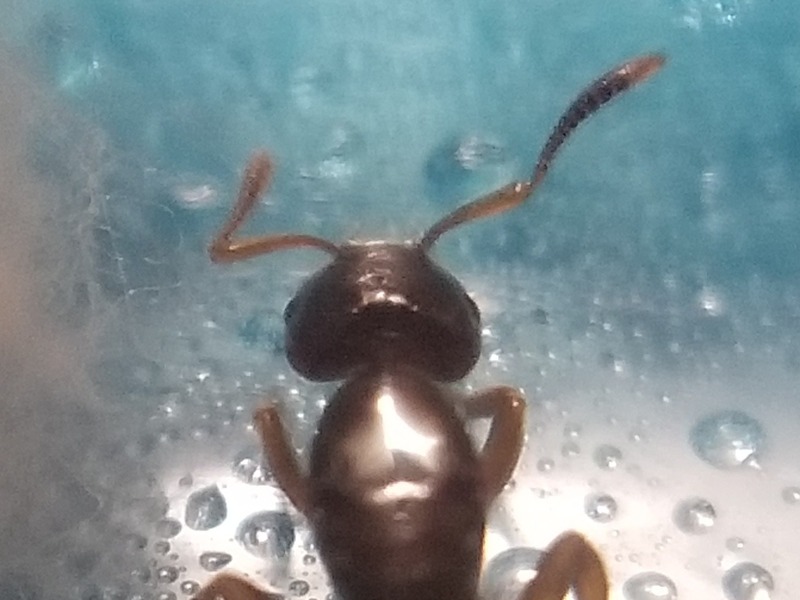 Based on the shape of the antennae, and how pilose she is, she may be L. claviger.